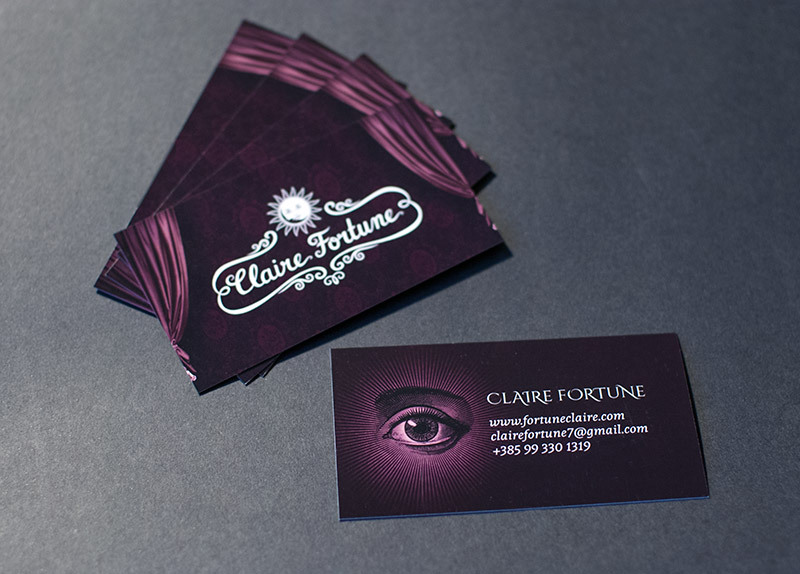 Claire Fortune is a fortune teller that uses tarot and palmistry in her work. 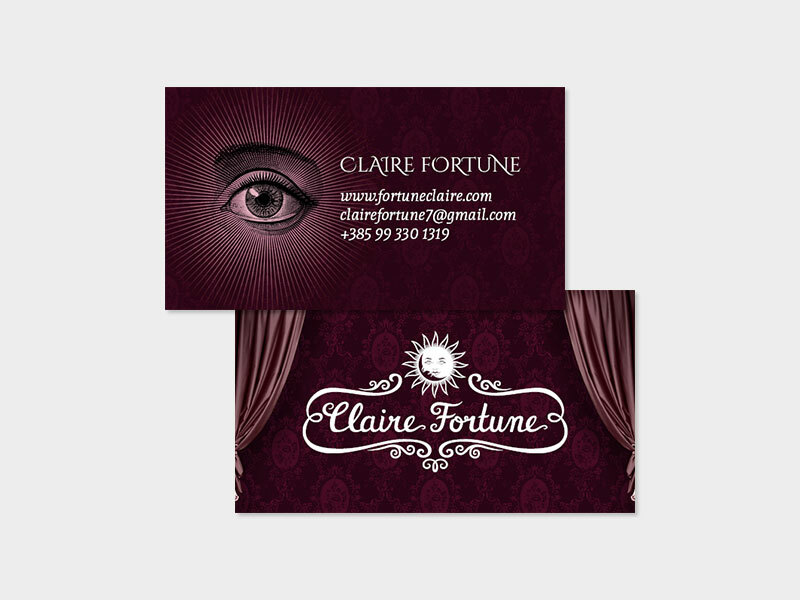 She wanted a Sun and Moon element in her design, and a very magical and vintage atmosphere in her marketing materials. We worked together to create her entire visual branding, including the hand-lettered logo design, photography, business cards, website design and social media kit. 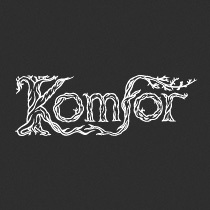 I created the logo in two variations – white and black, white being the primary. If you look closely, you'll notice that these two versions are not exactly the same, ie. the white version is not just an inverted black. I customized the Sun and Moon graphic so that the Sun is always lighter than the Moon in any color combination.